Here’s a tough endgame win by Czebe,A against Gutman,L from the Korbach GM tournament in Germany. 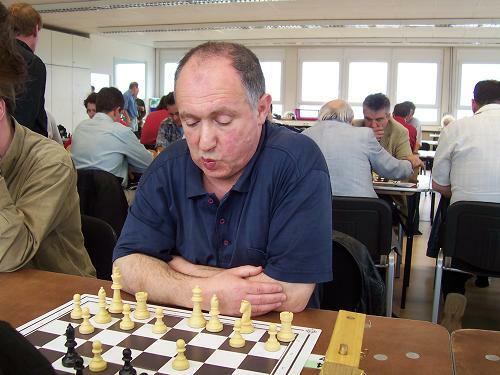 ‘Lev Gutman (born 26 September 1945, Riga) is a Latvian, Israeli, and German chess grandmaster. At the beginning of his career, Gutman tied for 11–12th at Riga 1967 (LAT-ch; Jānis Klovāns won), which was the first of many appearances in the Latvian championship; he tied for 5–7th place in 1969, tied for 4–5th in 1971, won in 1972, tied for 7–8th in 1973, took 3rd in 1974, took 4th in 1975, took 2nd in 1976, tied for 2nd–3rd in 1977, tied for 7–9th in 1978, tied for 4–5th in 1979. 1972 he won, equal with Alvis Vitolinsh and Šmits, the Riga Chess Championship. 1974, he tied for 6–7th in Pärnu. 1975, he tied for 6–8th in Riga. 1976, he tied for 7–9th in Riga. 1977, he tied for 6–7th in Homel. 1978, he tied for 4–7th in Vladivostok. 1978, he won in Haapsalu. Gutman emigrated from the Soviet Union to Israel in 1980, later moving to Germany.A former second to Viktor Korchnoi, he is known as an expert on opening theory. He played for Israel in two Chess Olympiads. In 1984, at third board in the 26th Chess Olympiad in Thessaloniki (+4 –3 =3). Gutman had the initial chances but did not capitalize which allowed Czebe to slowly take over. Eventually the game was decided in a RR-RR ending. The position looks sedate and more or less equal. What do you suggest for white? Black seems to be making progress in the RR-RR ending but now the doubled c-pawns are under attack after 37.Ra4. If black is not careful there may be some serious counterplay on the c-file to deal with. What do you suggest for black?